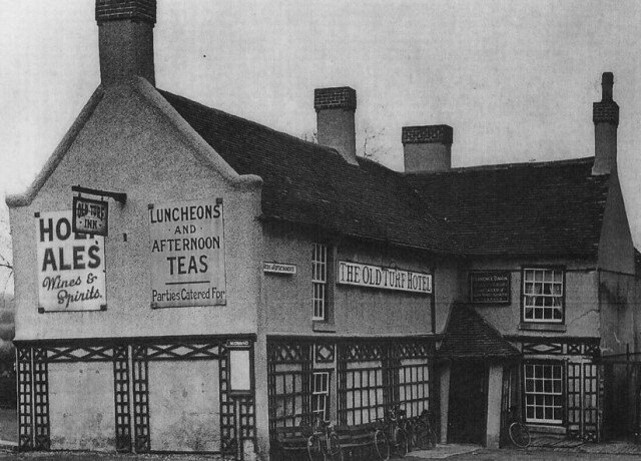 The original Turf Inn built around 1871, demolished 1936 when the current Turf was built on the opposite side on the opposite side of the Walsall Rd. 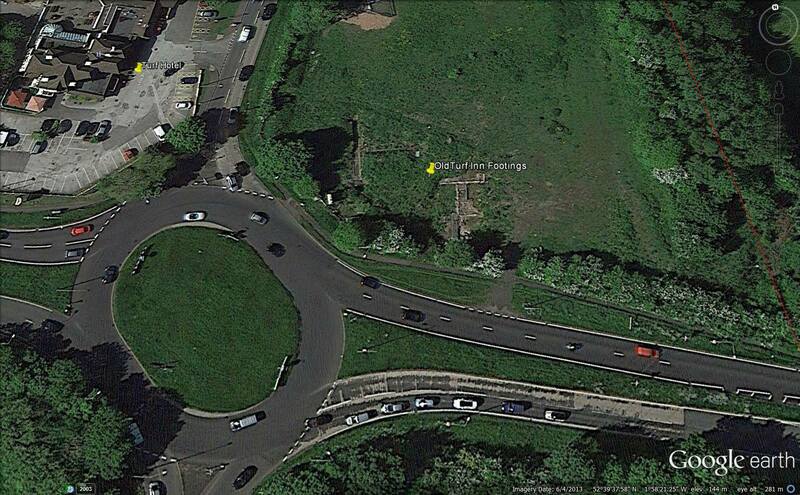 The google earth map shows the Watling St, running left to right, Walsall Rd and from the island towards the top. 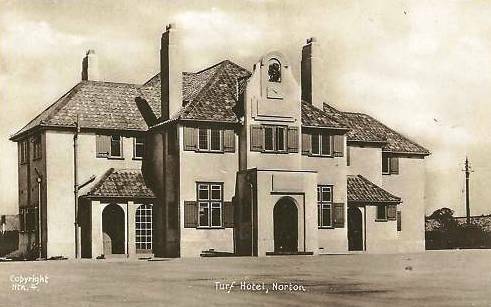 The current Turf top left corner the original Turf footings to the top right of island.